SIRANE was in Westminster earlier this week - having won a Green Apple Environment Award in the international campaign supporting eco-friendly practices. Finalists were presented with trophies and certificates at the UK House of Parliament on November 12 – having already battled against 500 nominations. “Being recognised at the House of Parliament is a great honour for Sirane, and the team that went down there really enjoyed visiting the seat of our government. The award is richly deserved for the team that worked on this project. It was the second award in a matter of weeks – with the Earthpouch having taken first place in the Resource Efficient Pack of the Year category at the UK Packaging Awards, held at the Grosvenor House Hotel, London in October. Simon Balderson, Sirane MD, added: “We’re now working with a number of companies, in many different sectors, and I think it’s fair to say Earthpouch will be on a shelf near you very soon… one of the great things about the Earthpouch is it is also cost-effective, often environmentally-friendly packaging comes at a cost, with Earthpouch that’s not the case, there really are no negatives. 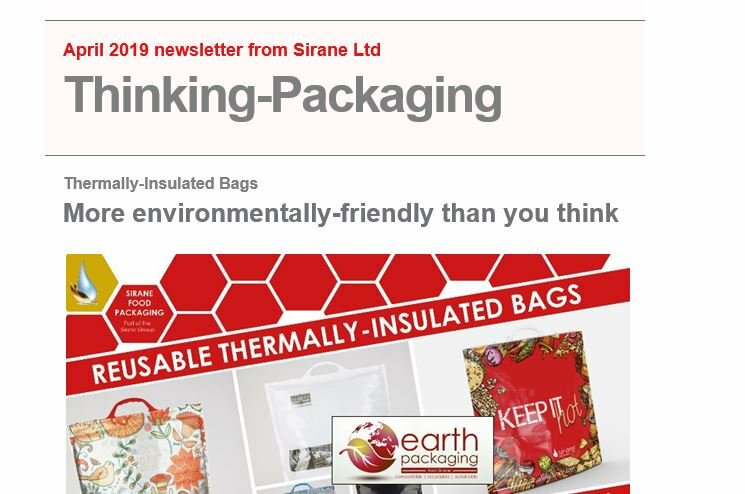 A question we’re often asked is ‘how do I fill it?’ and Sirane has an answer - we’ve also recently added a pouch-filling line to our offering, the M7, which is compatible with the Earthpouch as well as a range of other materials. Recent additions included Earthfilm and Earthbag – the same film as used in the Earthpouch but on a reel for flow-wrap or in a bag format. We’ve also added barrier version of the material – with high-barrier soon to be introduced to the market.